A quick glance at these "before" and "after" images shows no dramatic change to my body shape after 2 years of training using the Bigger Leaner Stronger program. Or so you would think. Certainly my body measurements haven't changed much, but that's not the only data that matters. At least for me. I am 5kg heavier, yet not fatter. I am stronger in all the main 4 exercises that matter. Next week is "Strength Week", so these numbers may improve further. Either way, I am achieving personal best results in many of the exercises every week. 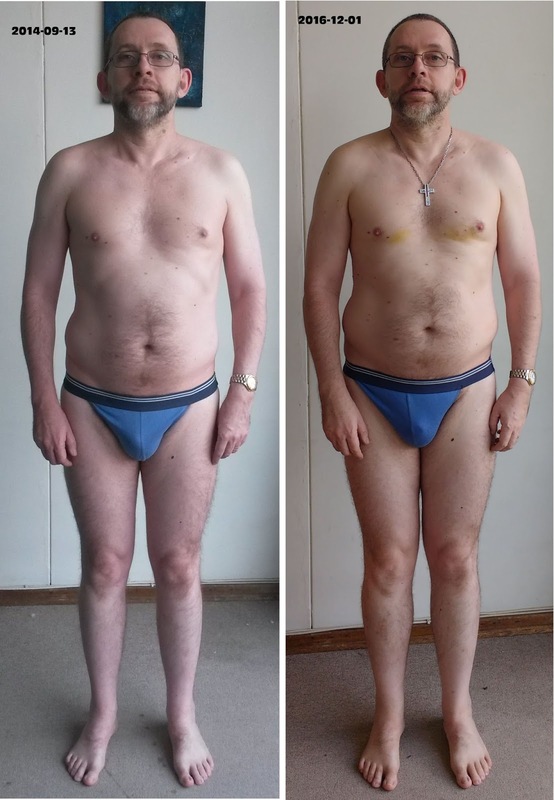 Progress has been slow but steady, especially considering I turned 55 this year, and only have the time and energy to go to gym 3 times a week. 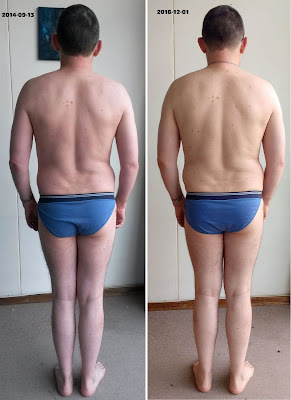 I have been going to the gym regularly for over 3 years now, and my progress has been great, at least for me. In August 2013 I couldn't do any of the basic exercises. I could manage around 5 pushups if I was lucky. Now I do 12 pushups as part of a warm-up routine. For me that's great progress, and it has been worth the time and effort. This week I am starting my warmup exercises with the weights I was doing as working sets in January 2015, or heavier. And the warmup sets start with 12 reps, not 6.